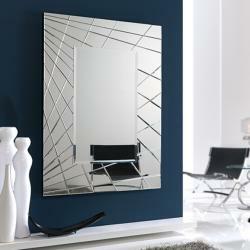 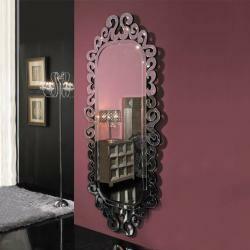 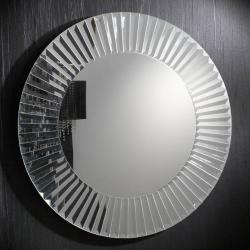 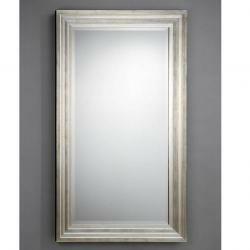 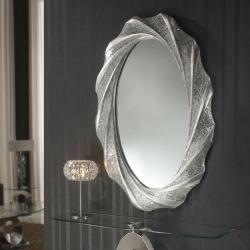 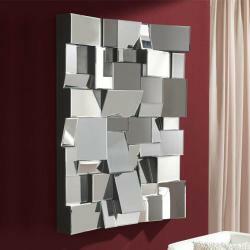 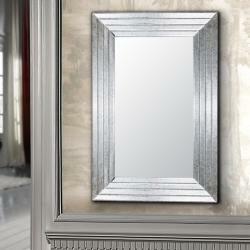 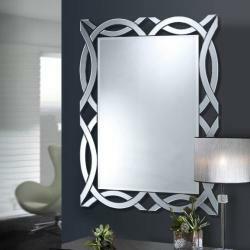 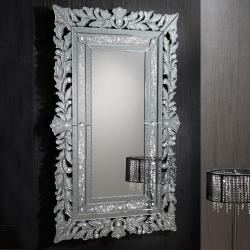 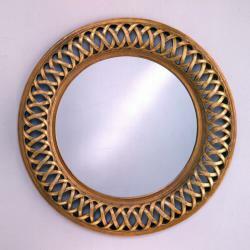 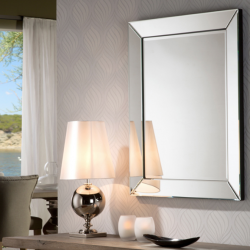 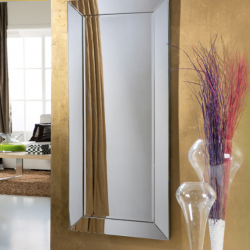 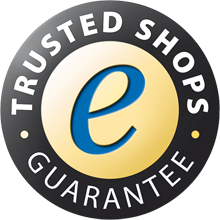 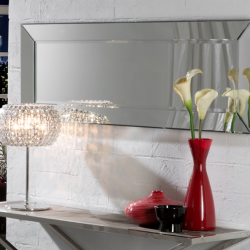 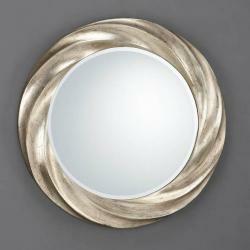 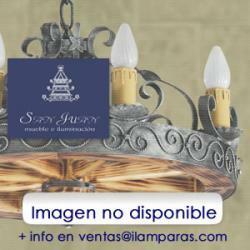 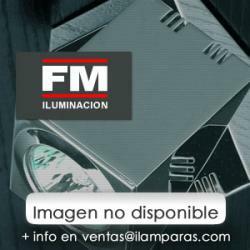 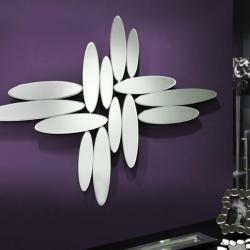 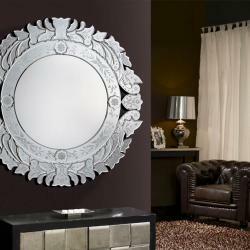 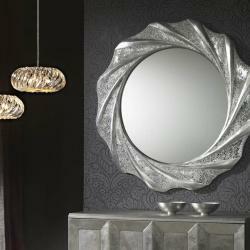 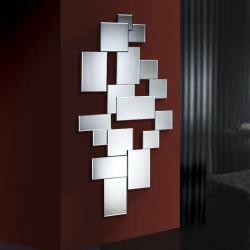 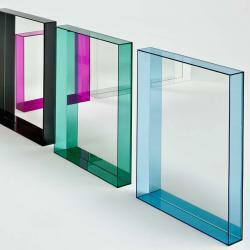 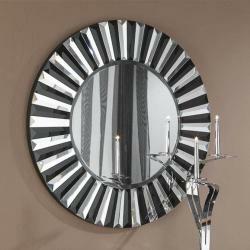 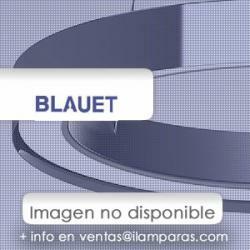 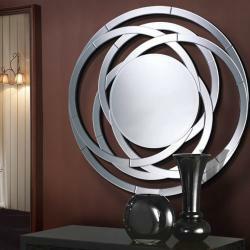 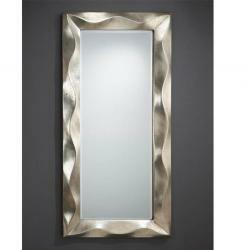 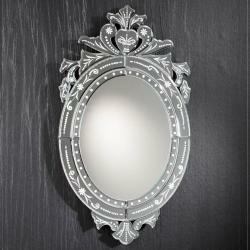 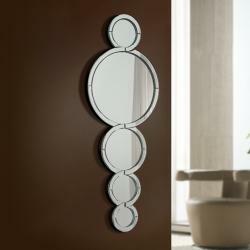 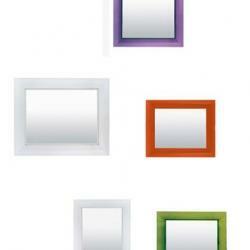 Rectangular mirror with beveled frame moons. 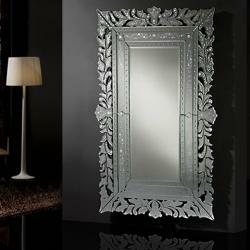 I support Wood and MDF, finished in black. 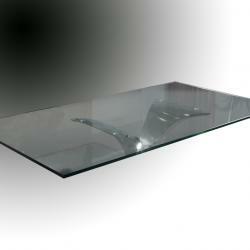 Center pane beveled.